This is the first cardigan I designed and knitted and I must admit that I really like how it turned out. 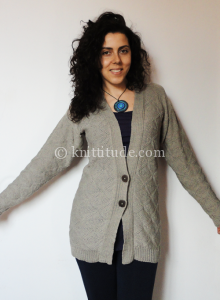 The color I chose is a neutral one and it makes this cardigan easy to match with different colors. I really love this tuck stitch pattern. At the beginning I wanted to use 6 buttons but then I thought that with only 2 buttons would look much better and I wasn’t wrong :). 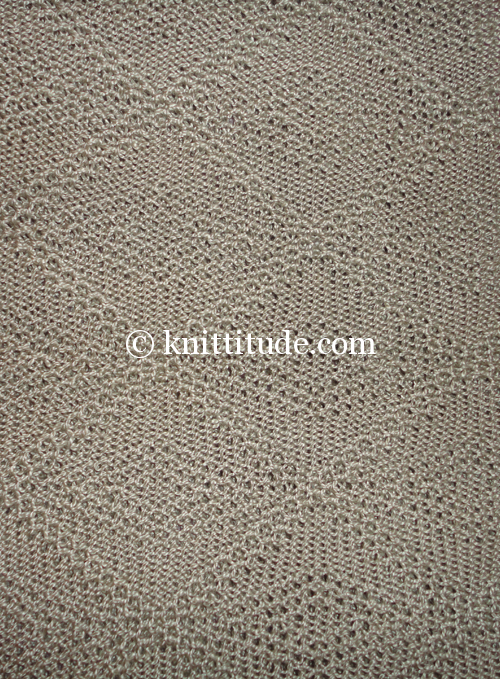 The cream-colored yarn is mercerized cotton Nm 2/10. 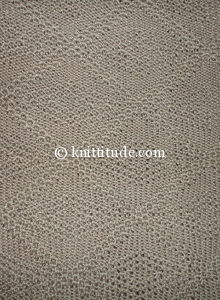 This pattern is for standard knitting machines (4.5mm) + ribber (for the welt) and includes instructions for S, M, L, XL sizes. The pdf is ready to download right after the purchase. Which list(s) do you want to subscribe to? 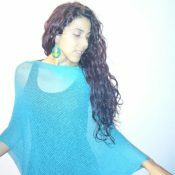 I give my consent to Knittitude.com to collect and keep my personal information, and email me using the information I freely provided through this subscription form. What will you receive from me: notifications on email about my new knitting patterns; messages that contain information, products, events, services about knitting. What can you do: you can unsubscribe anytime you want from my newsletter via the link at the end of any message received from me. 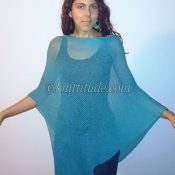 You may also ask for deleting your personal data from my database, replying to any of the messages received from me or by contacting me through the contact form on Knittitude.com. I appreciate your generosity in sharing your patterns and talents! Thank you Jo also for your kind words. Since I offer all my patterns for free, your donations are very much appreciated. and more (related to knitting, of course).